Are you still writing your front-end development code in HTML and/or CSS? If so you are starting to fall behind the times and should start considering looking towards the future of coding and to what can essentially speed up your workflow ten times over. What I’m talking about is writing in one of the fabulously new languages, Jade, Sass/Scss, or Less, but in order to use any of those languages, you are going to need a pre-compiler to compile all of those fancy new languages into HTML/CSS so that your browser can still read it. 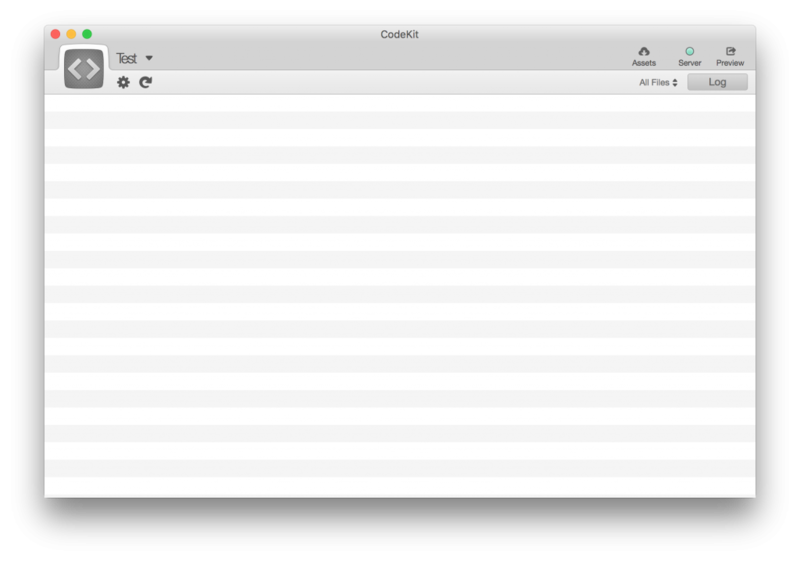 Let me show you how to use one of my favorite compilers, CodeKit. First things first, you are probably wondering what is CodeKit. Well, this wonderful quote from Chris Coyier sums things up pretty well. Awesome, now lets get your first project started. What you are going to want to do is create a new folder anywhere on your hard drive that you want to store you project, mine will be on the desktop. Once you have done that, take the folder and drag it on top of the CodeKit icon in your dock or you can just click file > add project. And there you have it. You have your first CodeKit project setup. Now there are a ton of customization options, such as selecting where compiled files will go and being able to instal frameworks at the touch of the button, so go explore with this amazing new tool and take control of all of your future projects. This entry was posted in Web Design and tagged back-end, codekit, CodeKit2, CoffeeScript, Development, front-end, less, Sass, Scss, Web Design, Web Development. Bookmark the permalink.